At Grand Marina Boat Yard we continue our committment to protecting the environment for future generations. We have invested in new technologies that provide us with cleaner ways to maintain and repair your vessel. 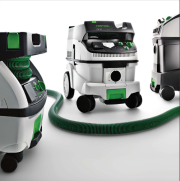 These technologies range from the breakthrough water cleaning process from stormwateRx to our new Festool vacuum sanding system. Each of these cutting edge products ensures that when you entrust your vessel to us you can be confident that we are watching out for the marine habitat.